You may believe that gum disease will only affect the gum tissue but advanced periodontal infection will also destroy the bone and connective tissues that support your teeth. The recession of your gums leaves more of your tooth surface vulnerable to decay. Periodontal treatment is an important component to a healthy, beautiful smile. 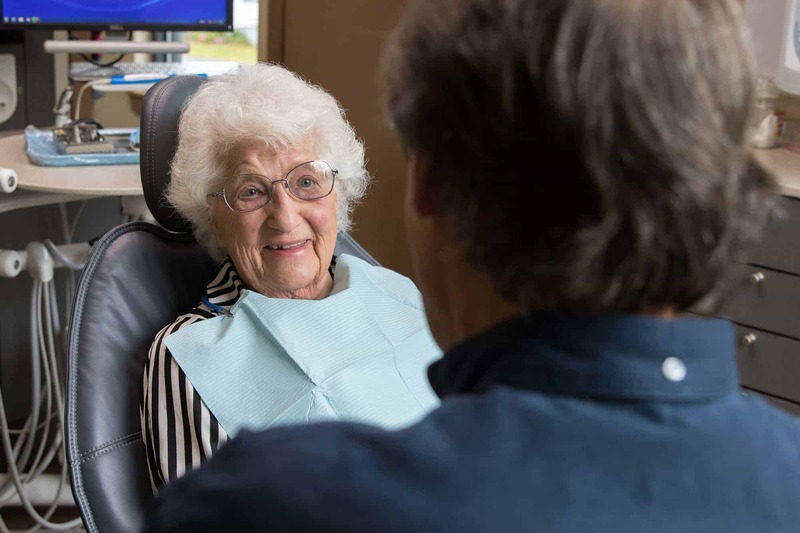 Silverdale Dental Center offers comprehensive periodontal services to keep you looking and feeling your best. Scaling and root planing is an excellent treatment for gum disease. With this method, we are able to remove harmful plaque and bacteria beneath the gum line. We can also smooth the tooth roots, if they have been damaged by the bacteria. This gum disease procedure is non-surgical and rarely causes more than mild discomfort, but sedation dentistry may be made available for this treatment if you suffer from dental anxiety. Bacteria are always present in the mouth and must be cleared away with regular brushing and flossing. When you have had gum disease, you are more likely to develop an infection and must have deep cleanings at regular intervals to prevent a reoccurrence. We offer periodontal maintenance to ensure the health of your smile. When bone density has been affected by gum disease, it can threaten the health of your teeth, alter your facial structure or make it difficult to restore missing teeth with dental implants. In cases like this, we perform a bone graft for dental implants. Bone grafts allow us to augment bone density by transferring tissue from the chin, for example, or a bone bank, to the affected area. When you have a bone graft for dental implants, the grafting material will be strategically located to increase the volume of bone in order to support your implants.